The essential guide to avoiding, recovering or preventing a cancer recurrence. Discover the underlying root causes of your symptoms and uncover a new way of living. 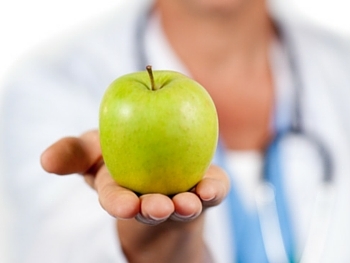 The must have nutrition book for cancer prevention and recovery. Fabulous recipes to control blood sugar levels – a diet for overall health that everyone can benefit from. When I first saw Jenny I had been told I had months to live. Jenny’s help has made a huge difference to my well being and quality of life. She not only radically transformed my diet but consequently improved both my physical and my mental state. Her advice has enabled me to live with cancer and outlive the estimation I was given. Jenny is very supportive, she is happy to work with hospital consultants and explains everything clearly to you. I was very recently diagnosed with skin cancer . 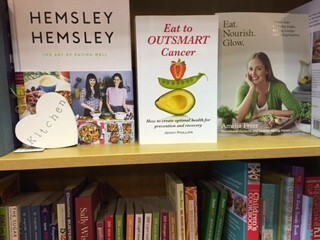 I immediately started to research the causes and cure, and was recommended to read “Eat to Outsmart Cancer “. Having read it I immediately changed my eating habits and already feel so much more positive.There is so much information available on the internet on this subject, yet this book explains all aspects in a very concise easy to understand manner , and is professionally researched. I would highly recommend this book for everybody to read and understand the importance of diet and lifestyle at this present time. This is an excellent book. Great explanation of what to eat and what to avoid and some wonderful looking recipes. Not tried any yet as it only arrived yesterday, but they seem easy and look really delicious. 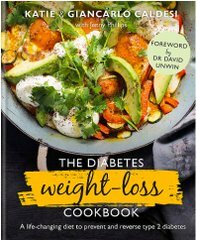 I’m not diabetic but I do follow a low carb way of eating and this book will be very useful. Thank you! Keep up to date with our latest events and workshops.